Autumn is upon us with the seasonal delicacies that many people anticipate for months in advance. High on the list are crabs. Autumn is upon us with the seasonal delicacies that many people anticipate for months in advance. High on the list are crabs. 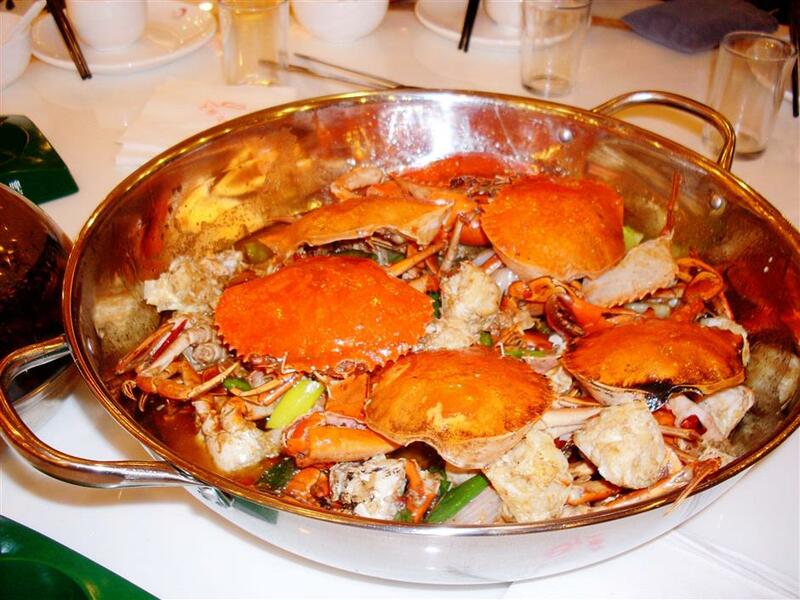 We invite you to try any of a number of Minhang venues where the best crab is served. Forget about barbeque. This Korean restaurant specializes in crab and has earned a four-star rating on Dianping for its efforts. 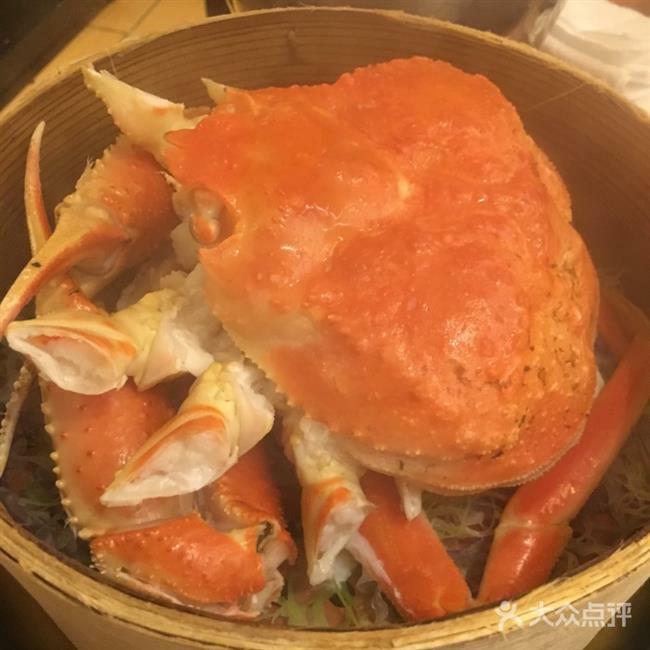 “Of all the crab restaurants in Shanghai, I always return to Lilang when I want the best crab feast,” said one of the customers making comment on the Dianping site. Braised crab will set you back about 499 yuan (US$76) per kilogram, but don’t remortgage your house just yet. Try the best-selling braised crab meal for two, which includes a whole braised crab, abalone porridge, salad, kimchi, fried mixed vegetables and beef pot. The price is 998 yuan. If you’re looking for something cheaper, try hairy crabs instead. They are steamed in most recipes to preserve the distinct sweetness of the flesh. After you have scavenged all the meat off, the kitchen will cook fried rice with crab roe left in the shells. The egg-coated rice comes with a special sauce that tops this savory experience. This restaurant offers a range of meals for two or four within a price range of 498-818 yuan. Vouchers are available on Dianping for customers to enjoy this Japanese delicacy. Frozen snow crabs are a bit on the chewy side, but that doesn’t seem to bother most people. However, if you are a fresh crab aficionado, you can order live crab for an additional 400 yuan. Snow crabs dipped in grapefruit vinegar are a taste treat. The food and the polished Japanese-style service have earned the restaurant a five-star rating on Dianping. As the temperature drops, hotpots move higher onto menus. What better way to temper autumn’s chill than a crab hotpot? This is a busy restaurant, packed with foodies even at 10pm. Crabs are griddle-cooked with baby cuttlefish and mussels. Then waitresses set up a hotpot using the crabs as base for the broth. To get full flavor, the kitchen cooks two crabs in a pot. Some customers say the result is too oily and salty, but it comes right after the dish is turned into broth. Jack Ma fishes a king crab out of the tank. Alibaba’s new retail strategy offering a blend of online and offline shopping is worth a stop at either of the three branches in Minhang. 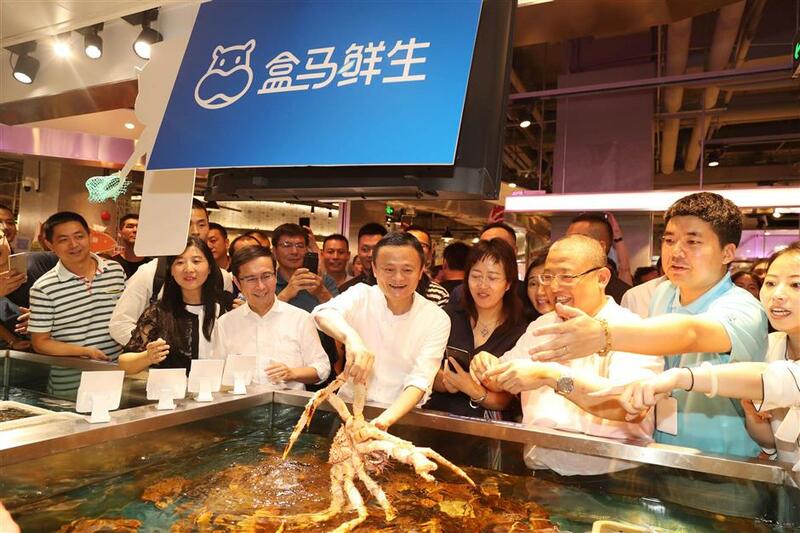 Jack Ma, founder of Alibaba, was on hand to fish a king crab out of the tank at the first Hema store in Jinqiao and had it cooked on site. The meal tasted so good that Ma asked for a doggy bag to take the rest of the meal on board a plane he was catching. 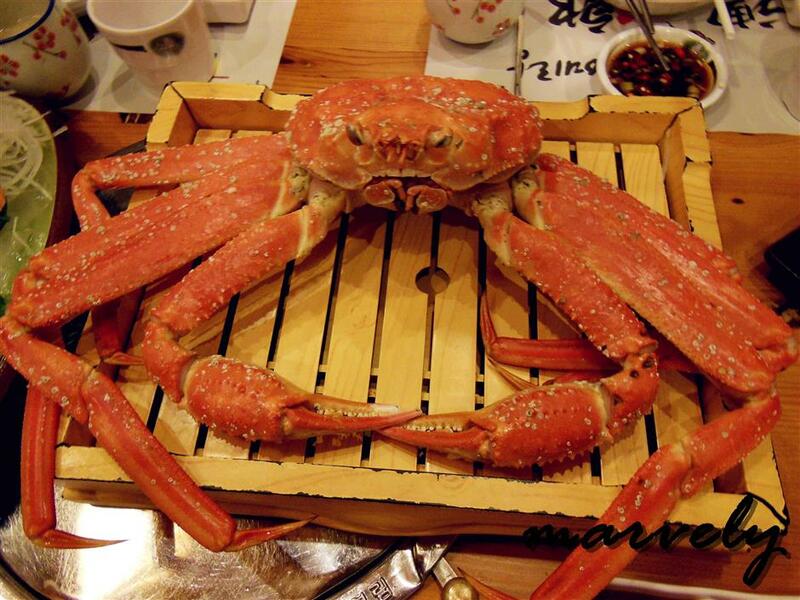 A live king crab costs about 699 yuan in the supermarket, but there’s a 50 percent discount at the end of every day. Customers can check the price and product information simply by scanning the barcode on each item. It’s a treat to select seafood and have it cooked on site. A dining area is provided or home delivery is available in 30 minutes within a three-kilometer radius of the stores. One warning: the shops accept only Alipay. Some seniors have complained that such a limited payment system is not consumer-friendly. Clay pot crab is the signature dish of this restaurant and is usually sold out by 4pm. Four or five green crabs are cooked with tomatoes, tofu and chicken feet. 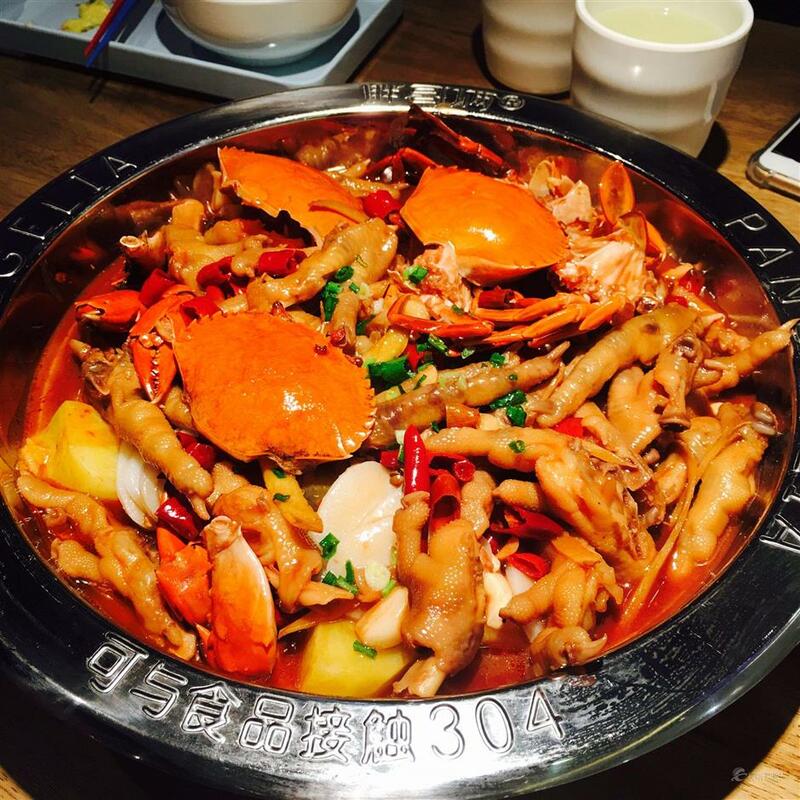 A small version of clay pot crab is enough for three persons to share. The price is even better, with a big pot costing only 118 yuan.